Former Assistant Scioto County Prosecutor Shane Tieman is now interim or acting Scioto County Prosecutor. Tieman was named to replace former County Prosecutor Mark Kuhn by both the Scioto County Commissioners and the central committee of the county Republican Party. In November, voters will decide if Tieman gets to keep the job. After being nominated to the bench by Gov. John Kasich, Kuhn was sworn earlier this month as a judge in the Scioto County Court of Common Pleas, General Division. He officially took office July 9. As explained by Julie Gearheart, director of the Scioto County Board of Elections, the process to replace Kuhn as prosecutor even on an interim basis seemed a bit complicated. Gearheart said the Scioto County Central Committees of both the Democratic and Republican parties will be nominating someone to run for the position in the November general election. Kuhn’s current term as prosecutor expires January 2021. Kuhn said because he is a Republican, his party had the right to name his interim successor. The deadline for them to act was between five and 45 days after the position become officially vacant July 9. According to Tieman, the central committee met Friday and confirmed his appointment as interim prosecutor and named him the Republican candidate for the position come November. According to Kuhn, Tieman applied for the position after Kuhn announced he was leaving. According to Gearheart and Kuhn, Scioto County Commissioners also had the right to name an interim prosecutor. They did so earlier this month, tabbing Tieman. In his spot on the bench, Kuhn replaced Judge William T. Marshall, who resigned abruptly March 16 of this year. Kuhn must run in and win in this November’s general election to retain his seat for the remainder of Marshall’s unexpired term which ends Dec. 31, 2020. According to a resume he supplied, Tieman was born in December 1972, which makes him 45 years of age. He is married to his wife Kara and they have two children who attend Minford Local Schools. Tieman graduated from Clay High School as that school’s 1991 class valedictorian. He received a BA in social science from The Ohio State University, and his law degree from Ohio Northern University in 1998. He joined the prosecutor’s office in 1999, eventually working in both the criminal and civil divisions. 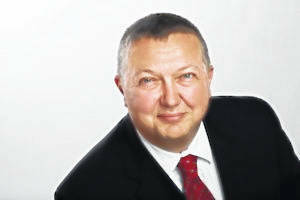 Prior to joining the prosecutor’s office, Tieman was chief legal officer and director of finance for Lute Supply. He also was a magistrate in the county juvenile and probate courts for four years until 2008. Prior to that, Tieman was in private practice in Scioto County. Tieman said he has no plans for big immediate changes in the prosecutor’s office, saying for the most part, he would like to keep together the team currently in place. The Scioto County Democratic Central Committee also is expected to nominate someone to run against Tieman in the general elections. The Democrats could not be reached for comment early this week. However, one candidate a former Assistant County prosecutor for Licking County, already has thrown her name into the ring. 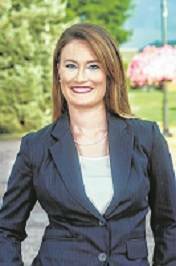 Rachel Daehler, now a private attorney practicing with Burnside Law, LLC, declared her candidacy for Scioto County Prosecutor July 18. Daehler said she will seek the nomination from the Scioto County Democratic Party to appear on the ballot in November.